Instant cameras have come a long way since the days of the emulsion prints of Polaroid. Take for example, Impossible Project’s new I–1 camera, a sleek instant camera controlled by an accompanying smartphone app. What if you want something a little less expensive and a little more DIY though? The answer might be this clever instant camera made from a Raspberry Pi computer and a thermal printer, stuffed inside a cardboard box. Reminiscent in quality of the iconic Game Boy Camera (which once held a record for being the smallest digital camera) and its accompanying printer, this little contraption is made up of a Raspberry Pi Model A+, a Pi Camera Board, a thermal receipt printer, a few buttons, and a cardboard box. Writer Phillip Burgess of Adafruit shows how to build this DIY digital instant camera, from top to bottom. The guide is far from beginner material, but if you have experience with Raspberry Pi computers or Arduino builds, it should be a fairly straightforward creation, especially considering the code needed to get the build up and running is provided. From our rough estimation, the camera will come to roughly $100, pending what computer equipment you already have on hand and a few other components in the event you want to further customize your build. One customization suggestion is opting for a better enclosure. 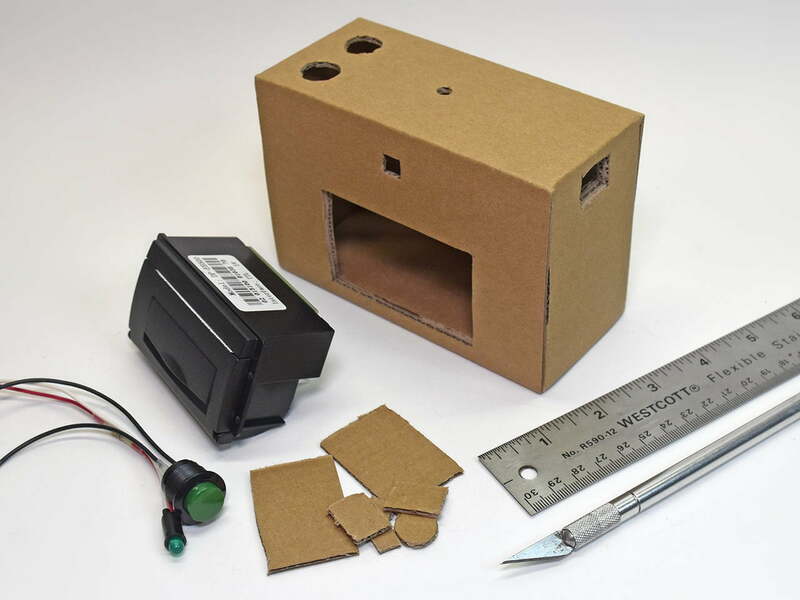 Burgess chose to recycle the box the thermal printer cam in, but for more adventurous builders, there are plenty of other options, including 3D printing. For a full rundown on how to build the camera, head on over to Adafruit and read though the guide. Remember, don’t pull the trigger (or shall we say, press the shutter) on any purchases until you know exactly what you’re getting yourself in to.